Ask your 2016 500, 500L or 500X lease questions here! Can you tell the residual and MF for a Fiat 500x AWD Trekking Plus 36 mo/15,000 miles for CT? Thanks! 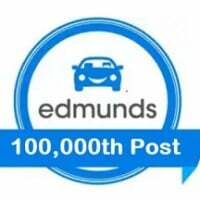 Do you have current numbers for 2015/2016 500e, 36 mo/10,000 miles, CA? Thank you! I don't see any numbers for the 500e, sorry. Hello, my wife is considering an 2016 Fiat Abarth manual in Oregon.. 36 month 15k a year. Curious on the MF & Residual. Thanks! Regular Fiat S too please. Abarth: .00012 MF and 34% residual for 39mo, 15K/yr. Interested in the MF and Residual for a 2016 500x AWD Trekking for 36/10 in CA. Are the numbers the same for 39 months? Thanks so much! Thanks so much. What about the 500x Lounge and 500x Easy in FWD on a 39/10? Are the rates the same? Also is the 39 month residual actually higher than the 36 month? Thanks again! Lounge: .00007 MF and 47% residual. Considering an i3 or 500e. What are the MF RV for a 10kyr, 24mos & 36mos for 2016 500e? .00018 and 55% for 36/10. $7500 lease cash. Thanks for the lease cash info. Are there no 24month options? There may be, but we only have the 36 month info. Currently considering a 2016 500e; what are the current residual and MF for a 30/10 or 36/10 lease? Also, what is the current amount of lease cash available? Thanks in advance! Don't have much info on the 500e, other than $7500 lease cash, and Standard MF (around .0020). No residuals, though you might be able to find those on the FIAT website, by reverse engineering an ad. Could I please have the numbers on a 500 lounge in FL 36/10k? 39 month numbers are horrible. Could I please have the numbers on a 500 Abarth in CA for both 24 and 36 months? Hi Michael - can you please tell me what the MF and residual are for a 2016 Abarth Coupe 24 and 36/15 and what incentives they may be offering? I read the prices on the 2017s are actually being reduced, so I imagine the dealer may want to unload the 2016s. any information is appreciated. Thank you! !